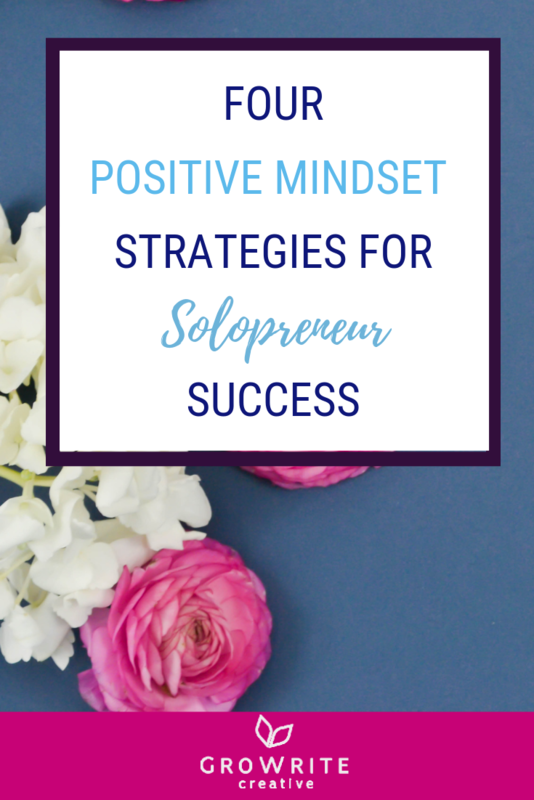 Working as a solopreneur has many benefits - but you can also end up feeling lonely, dispirited, inadequate, and as if no one understands what you do. Which is problematic not just for your mood, but for your business! Plus, you’re unlikely to be as productive as you might otherwise be, when you’re feeling on top of the world. 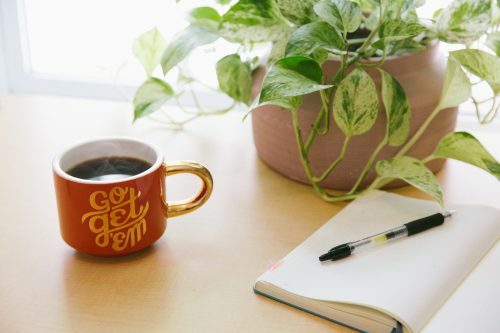 So next time you feel low, have a read through these positive mindset strategies, and try giving one or more of them a whirl to boost your mood. 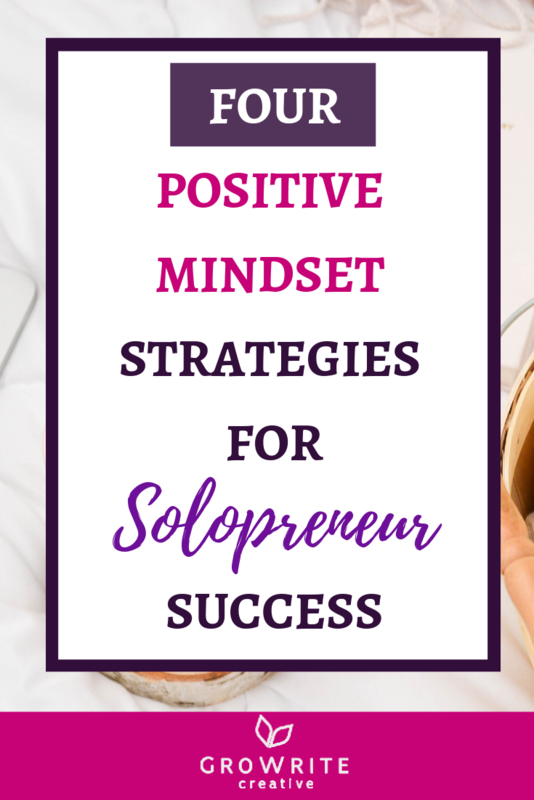 Because without the right mindset, achieving business success as an entrepreneur is going to feel an awful lot harder than it needs to be. 1. Take a break from "I need to do" and focus on "I already did"
Personally, I often have an enormous to-do list spiraling around in my brain at all hours of the day and night. But I'm the first to admit that it's not the healthiest thing for your stress levels! So take a few moments to stop mulling over what you still want to accomplish this year or over the next couple of months, and actually acknowledge what you've already achieved. Go ahead, make a list. 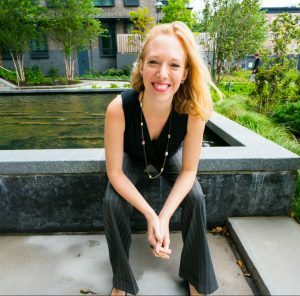 "I don't know how to..." becomes "I can find out how to..."
"I'm stressing out about..." becomes "I care hugely about ... and that's a positive sign for my business, because it means I'll take action on it!" "I got a nasty comment on Facebook" becomes "I used to get no comments at all on Facebook - and now people care enough about what I'm saying to comment on my posts. Plus, for every hater out there, I've likely helped and got grateful comments from 100X as many people!" Basically, don't get stuck in a negative thought loop. Instead, catch yourself, and reframe things from a "glass half-full" perspective. Address your biggest fears - the ones that keep you up at night or make you feel queasy - head-on, either by writing them out or by simply taking a moment to pause and reflect on them. First, ask yourself, are these things really likely to happen? Then, what would be the worst-case-scenario consequences if they actually DID? And finally, how could you cope with and weather those consequences, if you had no other choice? Once you tackle your worries directly, you'll likely realize that you actually have far more options than you expected in your arsenal, and that things aren't as bad as you've been fearing. Whether that's asking your spouse to help with the housework, getting your kids to tidy up their toys so you don't have to, joining a social media group where you can share some of your business worries and get advice, or hiring a professional to take care of tasks in your company or life that are stressing you out, you don't have to be a one-person-superhero show. It's really NOT a failing to ask for help. And it can actually be much more enjoyable to work WITH others on getting something done, than to struggle it out solo. Which of these positive mindset strategies did you find most helpful? Tell me your favorite (and share some of your own mindset tips!) in the comments below! 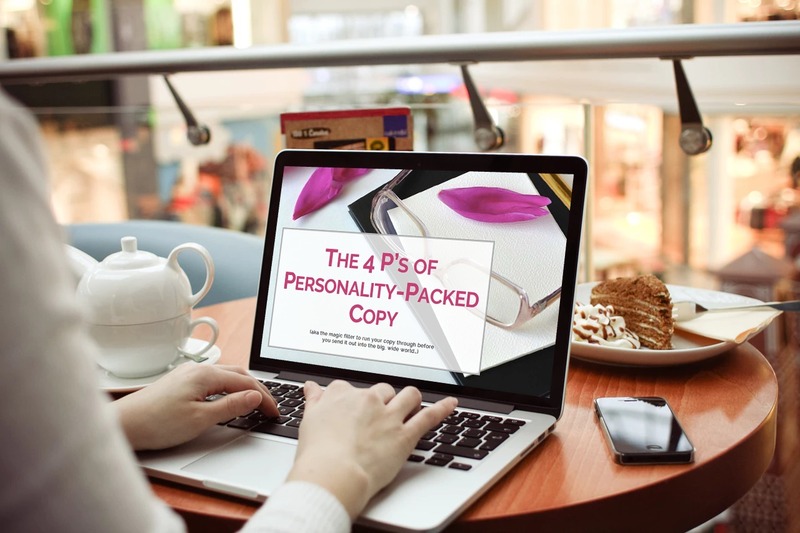 Plus, if you'd like some help upgrading your website copy, email sequences, or blog and newsletter content, take a look at my packages to see how I might be able to help you out. 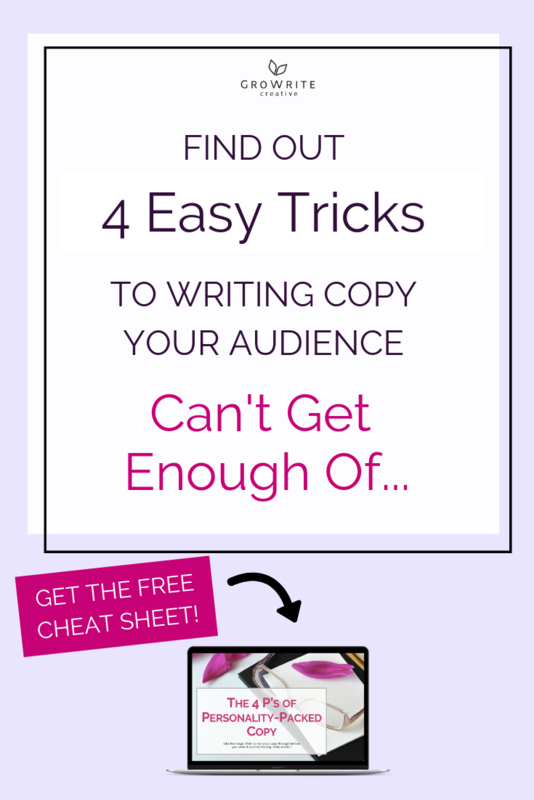 And finally, don’t forget to check out my *free* cheat sheet on the 4 P’s of Personality-Packed Copy, to find out 4 practical tricks to writing copy and content your audience can’t get enough of! Previous Post: « How to craft your brand voice as a coach or consultant (even if you have no idea where to start)!